U.S. Air Force Academy 1999 - Slide Show - Travel Adventures in Colorado, Rocky Mountains, Italy, etc. Nov. 6, 1999 - U.S.A.F.A. 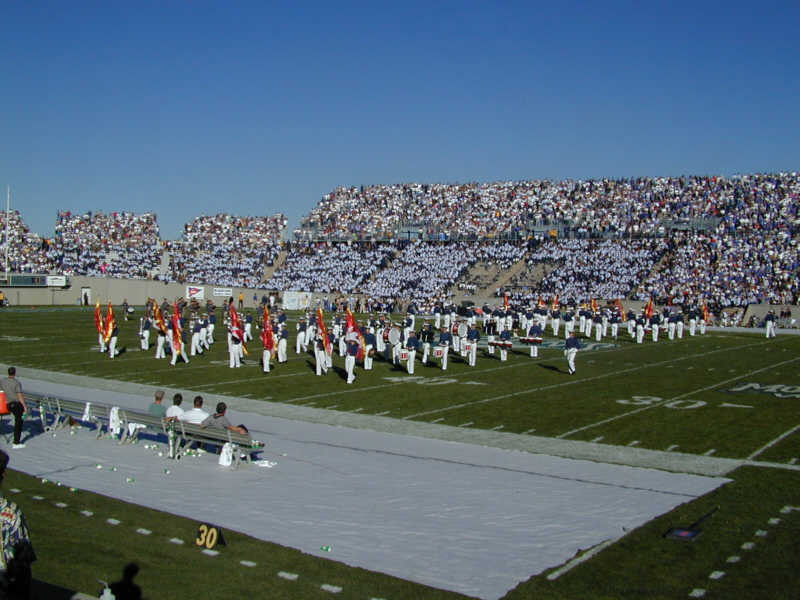 Football Stadium - Half Time performance of the Air Force Academy Band.